The Atari 8-Bit has certainly seen some love through 2017, what with the release of Skool Daze, Pac-Mad, The Way of the Exploding Fist and even Mario Bros XE. 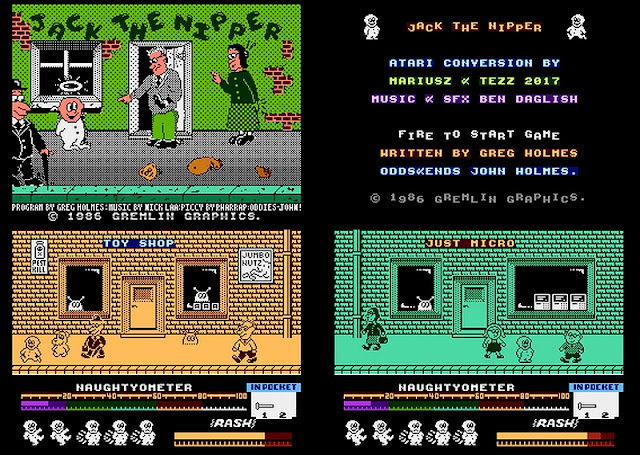 But fast forward to today for 2018 and Mariusz Wojcieszek with the help of Terrence Derby, has released the 1986 retro gaming port of Gremlin Graphics classic Jack The Nipper for the Atari 8-bit. Which was originally released for the ZX Spectrum, Commodore 64, Amstrad CPC and MSX! 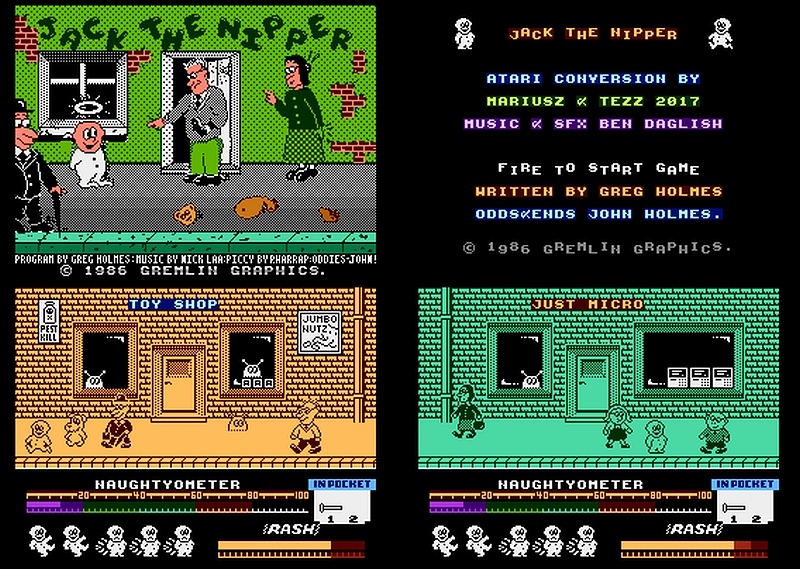 In this charming game you play as Jack, a rather naughty little toe-rag who wants to break records for being as naughty as possible. This is done by carrying out pranks on the people around you and filling up his naughtyometer. Beware however, if he gets caught he'll get spanked and his nappy rash meter will increase to the point of a loss of life! Which certainly seems rather nasty for a toddler to lose a life over too many spankings!